How you feel, your state of consciousness, is directly related to where your awareness is. You can radically alter your state of mind simply by shifting your point of awareness. Focusing on your heart will be a different experience than focusing on your foot. This can be a real gift to yourself and allow you to experience an entire universe in your own body! It can even allow you to experience all kinds of things outside your body. You can move your awareness into other people and feel how it is to be them. You can get high on drugs without actually taking them. You can experience what it is like to become birds and trees and stars. You can go into void states and just forget your body all together if you want. This ability is like being able to go to an amusement park anytime you want. You can do similar things with self hypnosis, but this article is specifically about feeling different energies. Being able to feel energy clearly like this is called Clairsentience. This is excellent knowledge to experience first hand and be aware of. However, it can also be a hindrance if you don't have a concept of energy. Now, how you do it may be different, but what happens when I "shift my point of awareness" (i.e., my assemblage point) is that I register that energy (in say the heart or foot) in my mind space/head area. So the tendency becomes to view everything in terms of "levels" and "states," rather than just 3-dimensional energy, which was simply registering in your mind/head space area because of your intent to become aware of it. People have developed techniques to dissolve and work through foreign or blocked energy using this kind of awareness shifting -- where you basically become aware of the energy and move through it with your mind -- or just passively watch it. This is called "equanimous observation" and requires you to be very grounded as a pre-requisite. And if you are ungrounded, or have closed down feet chakras, it will still work, but it will be extremely inefficient. In my personal experience, a block that might take months of "equanimous observation" to dissolve can actually be dissolved in a matter of minutes with a Reiki or Clear-Sight aura/chakra healing. See, just doing mindful meditation on troublesome emotions is like using a thimble to empty a bathtub full of water; the reason it is so inefficient is because you are only using your conscious mind to do the job, when in fact you can use your entire body and sub-conscious mind. Running energy, grounding, exercising, hiking, healing, or using crystals or NEW exercises to actually move the energy is far more effective than just focusing on stuck energy. If awareness shifting is one of just a few tools you have, or even the only tool you have, then you are in for trouble and will end up stuck with inefficient techniques like the one mentioned above. You can do it all from the center of your head if you have the right energetic and psychic tools. Knowing how to dissolve mental and physical boundaries is an important unconscious skill to have. It is a building block upon which other skills depend. Become unconsciously competent at this and it will significantly help increase your inner awareness. I Exercise: This helps you practice dissolving your perception of sub-personality/ego aspects. And any variations of these possessive terms (I'll, let's, we'll, hers, etc). Every time you internally speak a sentence with one of these words reform the sentence to eliminate the word. This exercise is powerful. Try it out for a day. 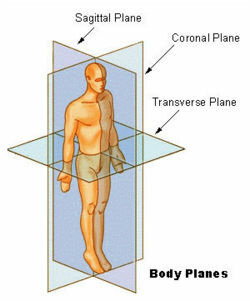 Disappearing Act Exercise: This helps you practice dissolving your perception of physical boundaries. Lay down in a comfortable place and put this towel on your face. Then let the towel disappear from your perception. Then let your face disappear from your perception. This is really the crux of this article and what you want to practice. Focus all your awareness on your heart and have an experience with that. Then switch to your head or abdomen, or another part of your body and notice what happens there. How is the experience different each time? How does it feel different? You might see, hear, or smell different things too. Give yourself the time to experience it and take it as slow as you like. Maybe even do some progressive relaxation before hand. We're all brushing our teeth everyday, hopefully, which gives us an opportunity to turn a mundane activity into one where you can learn quite a lot. This exercise is about isolating and concentrating your awareness. What normally has become a totally unconscious movement activity for most people can be turned into a "neural re-balancing awareness exercise." The real goal is to just notice what you experience; there's no right or wrong way to do it as long as you're selectively focusing on something. Each step below can be done alone or during the same brushing session -- it's up to you. Doing less per session will give you more time to notice what is happening. 1. Start brushing your teeth with the hand that you never use to brush them. toothbrush so go back to the normal hand for a week if you experience any bleeding or pain. 2. Switch hands a few times and feel the awesome difference in fine motor control. 3. Focus on just your mouth. 4. Focus on just the brush. 5. Focus on just your hand. 6. Focus on your hand and then switch to focusing on the mouth. 7. Focus on how you have to transition your hand from one position to another as you move the brush around your teeth. This aspect seems to be the key to matching the greater motor control of your dominant hand so it deserves extra examination. 8. Notice any habitual mental patterns/thoughts during your brushing. 9. Notice any habitual body positions during your brushing. 10. Add several of your own observations. Learn to consciously disassociate from and leave your body. You can do this by visualizing or imagining your aura expanding out of you. How do you move? What are your thoughts like? This is where you empathically merge your aura/awareness with someone else. Basically it all comes down to your intent. You can simply tell yourself to move your awareness into someone else's body and have an experience with that. How do you move, feel, and think?